The crunch of alien snow beneath your boots. The howl of a towering beast in the air. And the pools of color that decorate the space of a nearly infinite universe. These are the experiences of a solitary explorer embarking on the ultimate journey across the stars. Ladies and gentlemen, the wait is almost over: No Man’s Sky launches this week on PS4. Developed by the team at Hello Games, No Man’s Sky contains an entire universe within its digital walls. Set out with your trusty ship and explore, trade, fight, and survive in galaxies rife with possibility. Uncover the truth buried inside ancient artifacts, discover entire planets untouched by human life, and travel to the center of the universe. For a full list of games coming to PlayStation this week, read on. And enjoy the Drop! 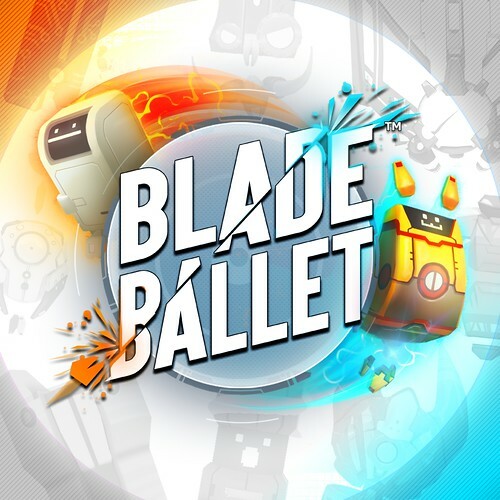 Blade Ballet is a whirling dance of multiplayer robot destruction. It’s simple enough for anyone to jump into the fray, but players must master the timing and unique abilities of each bot to come out on top. 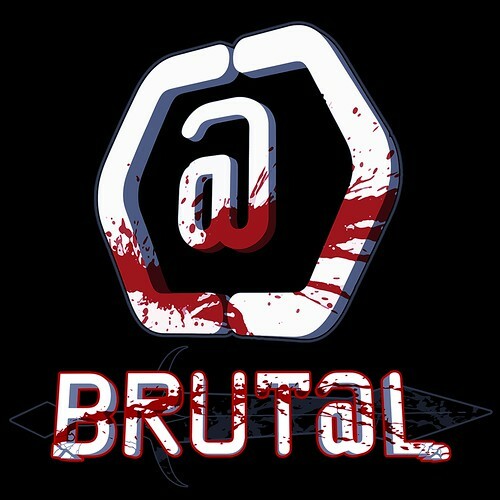 Brutal is a 3D re-imagining of the classic 2D ASCII dungeon crawler. 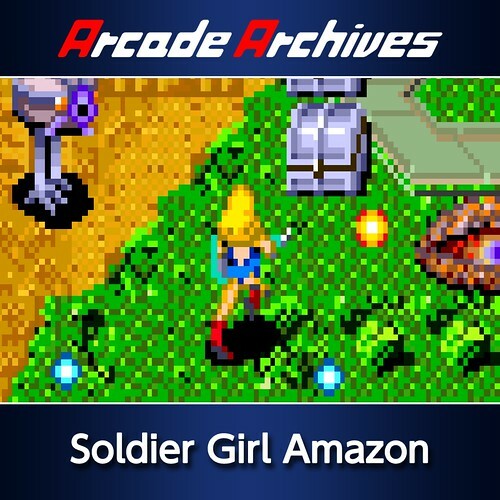 Featuring single player, two-player local multiplayer, and a level editor, players will choose from one of four archetypal heroes as they descend into a procedurally generated world constructed entirely from ASCII. With permadeath, weapon crafting, potion brewing, and an onslaught of enemies to face, can you survivel? Caladrius Blaze is a vertical scrolling shooter developed by Moss. It includes all the elements of Caladrius and Caladrius AC. It also includes extra content such as new stages, new story scenarios, new bosses, and characters designed by Yasuda. It’s 11 PM, and you are at the last house on your route. The lights are on, and the front door is opened. But the windows are all boarded up and the grass is overgrown. It seems like a strange place to deliver a pizza… Freely roam the house and try to figure out what is going on. This may be your last pizza delivery. In this paranormal thriller, New York City is stunned by a series of mysterious murders that follow the same pattern: ordinary people become possessed and kill absolute strangers in public. Play both sides of this breathtaking murder conspiracy and uncover the supernatural forces behind these crimes. 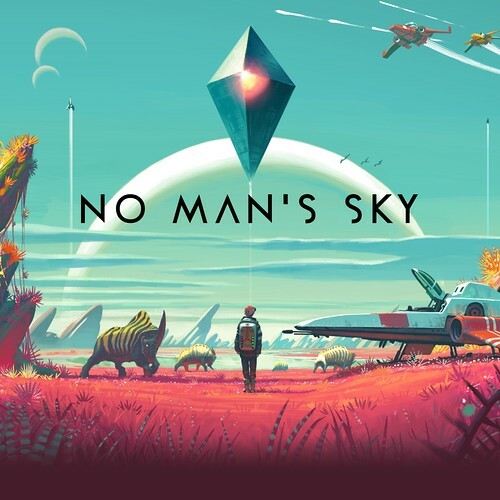 No Man’s Sky is an epic science fiction adventure set across an infinite universe, in which every star is the light of a distant sun, orbited by planets filled with life — each yours to visit. Explore never before seen worlds and trade, fight, and survive on a galactic scale. OlliOlli: Epic Combo Edition brings together the defining Skateboarding Series of this generation. OlliOlli mixes addictive one-life gameplay with more than 120 tricks and grinds across 50 deviously crafted levels, 250 Challenges, Spots Mode, Daily Grind and, RAD Mode. I hope soon we can have ps2 bc and complete ps1 bc… And before someone says “No one wants to play old games on a new console…”. Well should i name all the Remasters that have been rereleased.. Its the same exact game just better resolution. Same goes with ps2 Paid Emulation… Its the same game everybody played when they had it for ps2. It just has trophy support. I honestly wonder if we will get anything like ps1 bc in the new update. Or hopefully CD playback. I mean every sony console in existance could play ps1 games except for the ps4 somehow and every home console could play cds except for ps4….. So before someone says they can’t do it , they clearly can. A 20 year old game i would think should be able to run on a console that is suppose to be like a pc. Uh im not complaining. Im just stating facts and hopes. I hope we get actual ps backwards compatiblity. Its kinda sad honestly that Xbox One launched with all basic features. Yet the ps4, for some reason can’t do what the every pe console has done, played ps 1 games. Btw , i think there are better chances of Silent Hill 2 and 3 be backwards compatable (if it happens ) then there would be If it went through Sony soft remaster/paid emulation program.. And honestly with the rate they release Ps2 games on the psn store and how Konami is now. We would never see SH2 and 3 on the store unless it was the horrible HD Collection. The only games we can agree that would be expensive are the horror games.. But San Andreas and Ratchet and Clank are actually very cheap… And honestly ps2 games are not hard to find, there was a game store downtown that had many retro games and many ps2/1 games. I already have Fatal Frame 3 as a download on psn for ps3.. Im not going to rebuy it. And honestly you don’t know if BC isnt coming just i dont know if it is coming. It could be ps1 bc. I just want my console to have the features its predecessors had. Is that too much to ask for? I remember playing Indigo Prophecy on PS2 back in the day and enjoying it. A very engrossing game and great soundtrack too. Sony should be working on PlayStation OS and it’s own API with performance enhancements for PS5 and above. It is going to make it significantly easier for developers when it will talk to the machine a lot easier. They should consider letting gamers add their own GPU graphics card. The console would come out with it’s HDD and GPU except you have an additional slot for an extra HDD and a extra GPU. Developers will have the graphics option of locking it 30fps and unlocked fps for all games. The thing you confuse is that backwards compatibility would likely not look as good as what they do digitally, because they tweak the game a bit and that allows them to use the extra horse power to smooth out lines using anti-aliasing. I mean the issue is people don’t want to buy really expensive PS2 games (which will only go up in price if suddenly 40 million new people can buy and play them) versus digital copies with extra features and more appealing graphics. “Uh im not complaining. Im just stating facts and hopes” You are complaining. “the Hd Collection was an abomination.” That’s a complaint. “Its the same game everybody played when they had it for ps2” This is 100% speculation and not a fact, like, at all. You also completely contradict yourself with the whole SH thing. Not gonna quote the whole thing but “We have a better chance of seeing them” and “There’s no likely chance of seeing them” conflicts. I could go on but Makai pretty much nails it. Just wait for a sale. There’s no urgent need to buy a game right away if price is a factor. Every single PS2 emulated game that I bought thus far were all about $4. Patience is a virtue. I have had No Man’s Sky preorded since day 1 of the preorders. I know I’m going to be a dead man at work for the first couple of months of its release. Only a couple more days until No Man’s Sky. So excited. Can’t wait to finally play it. Wanted this since the very first trailer. Will the dynamic theme in the LE be available for purchase at some point? The avatars too. I keep seeing friends with the NMS cover art avatar and I’m jealous. So no Vita games this week? Wish Caladrius Blaze came to Vita too, Vita needs some Vertical SHMUPs. Also could do with the Arcade Archives coming to it. Would be perfect for Vita. But it’s dead to Sony pretty much. Vita just needs:) could be a 3D version of parcheesi, could be Uncharted 3 for Vita. Games, Sony! Games! Didn’t GalGun: Double Peace just come out on the Vita last week? Who needs a new Vita game already? It is the only thing that matters this week :)! So excited for my Limited Edition of No Man’s Sky to come in Tuesday. Also for those unsure about Brut@l I have it a 9/10 in my review. It’s really good. 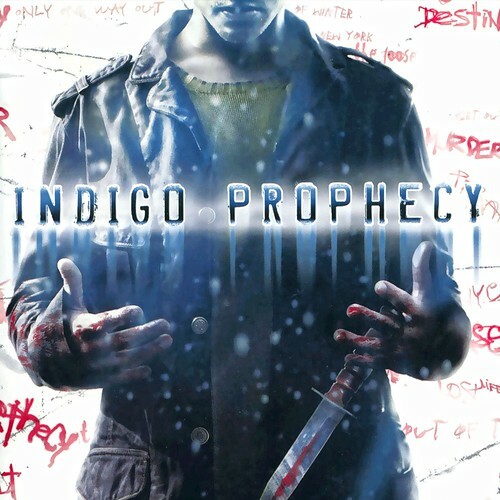 Also looking forward to picking up Indigo Prophecy as I never got to play it back in the day and I love Quantic Dream. Great week. I don’t know what you guys did to the formatting of the drop posts, but on mobile it looks horrible. The only thing I know is that games starting with the letters A-E are coming out this week. The drop post doesn’t like anything after that. Everything is on one line and goes well off the screen. Goes for both my phone and my tablet. I do realize it’s hard to find a format that works on every platform but there has to be something better. A simple list usually works well. I know the one time US PSN takes something from the Europe PSN and its that horrible New Release layout their Drop uses. I’m hearing that the ship is included with NMS on PSN preorders. It’s not showing up in the store but it is in the library or the download list. One of the two.. Also, from what I’ve been reading this weekend, it seems the preorder ship might end up being useless rather quickly and that you’re constantly changing ships and what not. Dunno how accurate that is though. I was VERY upset when NA didn’t get the same deals on God Eater R that Europe got. I wish Europe and NA would share the same offers. Nothing for me, Im about tired of Arcade Archive games. Games you can 100% trophies in 20-30 minutes. I’ve seen a few streams on Twitch of No Mans Sky & it doesn’t look very impressive. Explore, gather materials & continuously having a full inventory .. Minecraft anyone? Looks like Galaga 2.0 or nothing but hype. Haven’t seen anyone say anything good about No Mans Sky except the 1’s defending another over hyped overpriced game. 18 quatrillion slightly different plants with 12 texture packs. Sorry but all the fancy game trailers can’t even help No Mans Sky, false advertisement anyone? Can you source your complaints or are you just spitting out whiney hyperbole? The streams aren’t the same as the game we will be playing Tuesday. I am going to wait to get No Man’s Sky when it is on sale. 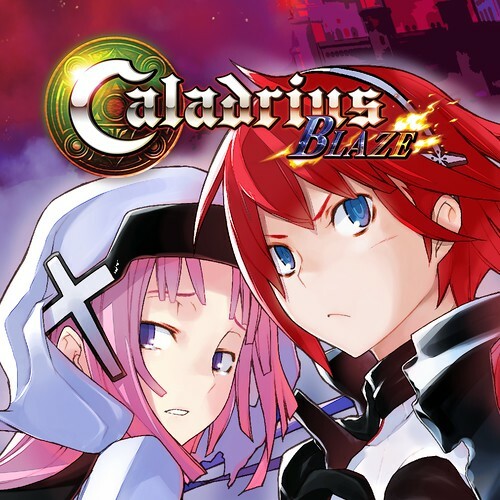 However I am very interested in Caladrius Blaze as I never got around to playing it on PS3. The countdown clock on my NMS pre install mocks me. So any news of what type of sales are going to be on this week? Last week was fairly good and I picked up Fallout 4 with the season pass so nothing really top that this month unluess there are a few other games released with their season passes included. Not much for me this week. I don’t care about NMS in the least bit. I thought i already did source my complaints about No Mans Sky, i did mention Twitch. Seeing a stream is good enough for anyone to form an opinion. Unless @WolfyHopless means my comment about Arcade Archive games, in that case PlayStationTrophies, PSNProfiles etc estimated time until 100% on almost every Arcade Archive game is between 20-30 minutes. Not that I’ve got 7 of then at 100% trophies or anything. @Wolfyhopeless stop complaining i seen your post above, YOU are complaining not me, my post about No Mans Sky was opinions based off actually seeing gameplay & being observant. Well, it is about time to see where NMS lands in the star charts. This will be interesting to say the least. Nothing for me this week. I’m sure there are some games people have been looking forward to. But._ I like the non super hero Telltale games, and games from japan. I’m so sick of mass murder games made in America. To each their own I guess. I agree with others when they say no to old games I got suckered into buying shoduiken 2 and after 7-8 hours, I was like why are trophies not popping? Then I found out it had none. I just wasted that money and time. developers includes credits in there games to show the hatd work put into it. Well, trophies show the hard work players put into the game as well. No trophies are like having no credits. A total lack of acknowledgement. In conclusion, I no problem with old games and backwards compatability, but they better have trophies otherwise they can go ‘F’ themselves. Well, if you care that much about trophies, there must be something wrong with you O.o. Although, there’s something wrong with me too since I prefer games having no trophies because I’d feel the need to get them all. Good thing I have certain “self-control” in that aspect. No Man’s Sky is going to be the biggest flop in the history of gaming. “No Man’s Sky is going to be the biggest flop in the history of gaming.” – I agree it will be a flop, not sure about the biggest or not. People are so excited and then they are going to start playing and never run into another player and get bored. Plus having to get fuel and such when you cant take too much or you get attacked by powerful beings….wait….I want to conquer EVERYTHING!!!! Why can’t I? Pass. Trophies, cause they are awesome on a resume *sarcasm* LOL I wish they would eliminate trophies all together and just make great games. @ + CommandingTiger – The idea of consoles with user installed graphics cards defeats the entire reason to make/develop for a console. Consoles exist as a standardized platform to develop on. No guess work about drivers needed, system specs, etc. Start allowing users to alter any internals other than storage and you introduce all the problems of developing for PC – in which case, why bother? Now on topic. I’m looking forward to No Man’s Sky. Hopefully it’ll be an experience I’ll enjoy. I think it will but you never really know. I love trophies. Just like achievements or what not. Calabrius Blaze has 49 including a Platinum. I am offended that the most important release of the week was ignored. UNO > All other games this week. UNO to rule them all! No Vita games this week? My wallet thanks you for it. I think that it was a mistake for No Man’s Sky to have no substantial game impacting pre-order bonus for the PSN store. After how much Sony has been tied to the game you would think that buying a digital copy straight from Sony would have at least a bonus along the lines of other retailers. It doesn’t exactly make it a must have preorder game if it pales in comparison to what others get elsewhere. Also just having one version digitally but three physical? At last but not least, PSP on PS4 would be something really awesome, as the PSP have a lot of amazing games, and it’s something that it’s totally possible on PS4, no excuses. Just imagine, having a Playstation that plays PS1, PS2, PS3, PS4 PSP, PS VITA, Now that would be the ultimate console! But alas, sony works in mysterious ways. Of course I’m getting No Man’s Sky, but having played the beta for it, I really have to say that Blade Ballet is extremely fun and worth the price of admission. The dev team is also very social too with their own Discord channel. Can’t recommend the game enough if you’re looking for a fun party game.